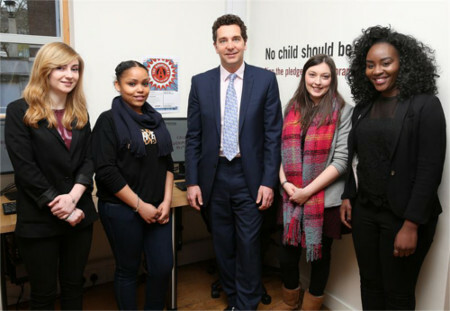 Today the Minister for Children and Families, Edward Timpson, visited First4Adoption to meet the team and talk with young adopted people who have created a new online resource for First4Adoption’s website. The young people are members of a group called The Adoptables, a national network of teenage and twenty-something adoptees managed by children’s charity Coram. The Adoptables provides a platform for its members to express their views and insights about what it means to be a young adoptee. As its first project the group has produced a list of “Top 10 Tips” for adopters now available on the First4Adoption website. There will be an opportunity for young adoptees in London aged 13-25 to join the Adoptables network by attending a workshop in April at Coram’s Campus in Bloomsbury. Additional regional workshops will be announced shortly. For timings, to register or to find out more, please contact Erina.Naluwaga@coram.org.uk, tel 07984289062.